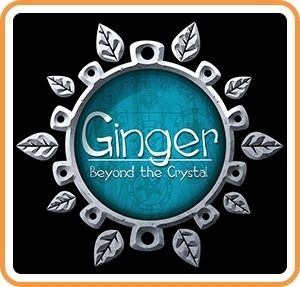 Краткое описание: This is Ginger: Beyond The Crystal. The towns are devastated and their inhabitants disappeared, but there is still hope. Ginger must reestablish the connection with the goddess by purifying corrupted crystals that have spread throughout the worlds. It won’t be easy; the worlds are full of enemies and traps across 15 different levels. Luckily, you will not be alone. Some characters will give you special abilities that will help you solve puzzles and defeat your enemies. There are three different worlds to discover, each one with its own enemies and incredibly fun bonus levels to test your skills. This is Ginger: Beyond The Crystal. The towns are devastated and their inhabitants disappeared, but there is still hope. Ginger must reestablish the connection with the goddess by purifying corrupted crystals that have spread throughout the worlds. It won’t be easy; the worlds are full of enemies and traps across 15 different levels. Luckily, you will not be alone. Some characters will give you special abilities that will help you solve puzzles and defeat your enemies. There are three different worlds to discover, each one with its own enemies and incredibly fun bonus levels to test your skills.